When I looked at that map, it looked to me like the origin could have been Asia Minor as much as Africa. There are arrows pointing in that direction, Asia Minor to Africa, as well as Asia Minor to everywhere else. Besides, Egypt is in Africa and it's at least as old as Sumer, I've read. Both places seem to be origins. Indus Valley civilisation is as old as Egypt and Sumer. Most of the peoples who invaded/entered the Middle East seem to have originated somewhere in Eurasia. Where they hit the Middle East depended on which way they moved around the Caspian and/or the Black Sea. The various mountain ranges extending west from Iran to the Aegean play a big part too - only so many places they can be crossed. The so-called 'dark age' is the result of the refusal by academics to ever acknowledge the seafaring civilisation of the Canaanites/Phoenicians. The ancient world during 1700-722 BC was very well-connected through extensive sea trade. The shipping lanes connected the Baltic, British Isles, Africa and India with the Mediterranean. This vibrant trade between nations, languages and tribes was accomplished mainly by the Canaanites/Phoenicians--who also developed the alphabet and the first books. This is the world of the Old Testament. It was a highly interconnected world. For example, there are faience beads and also necklaces which are of the Mycenaean style in Wessex burial sites showing that trade was already developed in the north in 1450 BC. Tyre and Sidon were great seafaring cities and are some of the most mentioned people in the Old Testament. The enormous blind-spot exhibited towards the Phoenicians is merely academic tradition. That reminds me, I was delighted by Lloyd's mention of the possibility of Canaanite trade in the New World. Claude Schaeffer...archaeologist whose excavation of the ancient city of Ugarit at Ras Shamra Syria, disclosed a succession of culture from about 1195 BC back to the 6th and 7th millenia BC. ...He found that Ugarit, a coastal city and port in ancient times, was quite cosmopolitan; in various periods it showed evidence of cultural influence from Egyptian, Mesopotamian, Hittite and Mediterannean civilizations. The tablets included texts of literary works of considerable sophistication and originality that also helped to establish the Canaanite origin of the stories of the Patriarchs in the Bible. Because of Schaeffer's work in more widely distributed areas, he was able to see common stratigraphy between the locations. The significance of this development for accurate dating is astonishing to think about. First, this may throw an enormous spanner in the academic dating traditions, who -- due to their own biases -- relate all dates to Classical Greek and Egyptian civilizations. That in itself is an enormous problem because if they have Greek and Egyptian dates wrong, the entire system falls. Next, the disasters which befell these ancient cities left layers in the record which can be harmonized over wide areas. With today's electron microscope technologies, depositions can be identified with confidence, because as we know every volcano or high-temperature event leaves its own fingerprint, which is unlike that of any other volcano or high-temperature event. And Claude Schaeffer was firm in his conviction: he had identified a precise year for the 1195 BC destruction of Ugarit. - The Geochronology Part 4 includes major events like carving the Grand Canyon, the Floods in Washington and Idaho etc, the flooding of the Mediterranean Sea, which was almost a dry basin before flooding, and the flooding of the Black Sea. I suppose these actually likely occurred after the Continental Drift event some centuries after the Great Flood. The Mediterranean and Black Seas floods must have been terrifying, since both were pretty deep, probably a mile or so. Right? I do not believe there is any physical evidence for human survival prior to the current era, but archaeology documents migrational patterns [eg. "Clovis" group] from the middle eastern sector to all other parts of the world. Remember, fossil humans are a testament of death, not life. Also, who said humans all died by drowning, or that they died simultaneously? Come on now Webolife, you are clutching at straws here. That part of E Africa is about as far from Sumer as I am in the UK. You agree with their migration map while dismissing their timeframe. The history (and archaeology) of the Middle East is a story of peoples entering the region not leaving it (unless they get kicked out). I thought that this 'out of Africa' theory had died long ago. It is based on the premise that the oldest remains found to date are in fact the remains of the oldest 'humans'. It aint necessarily so - especially as they have not searched anywhere near the majority of the planet's land area (and then there is the lands that have become submerged and the remains which didn't get fossilised or got fossilised but didn't survive to the present). DNA is interpreted through the lens of Darwin's theory which I believe you do not subscribe to. I have no time for Darwin nor do I have any for the DNA circus. They have been doing 'science by press-release' for decades now, hardly a week goes by without some headline grabbing fantasy. Perhaps it was careless of me to reference that National Geographic site. My interest is primarily their unification of the migrating people groups to a relatively small number of "clans", and the general shape of their migration pattern. I actually agree with you about the East Africa vs. Sumer dichotomy; I see Sumer as the central distribution region. I also agree with you that the rough and presumptive radiocarbon and genetic drift timeframes are off. I have a "What if..." attitude toward the use of the biblical record as a framework for earth history, and have built my alternative modeling on that premise. I see value in other cultural mythologies; but that is your realm of expertise, not mine, so for now I am content to read your intelligent synopses and critiques, and see what new info I can glean from that. My finding is that there are relatively few [perhaps dozens of] good examples of fossilized pre-Flood humans [or from another approach, few of them got fossilized], and how they died would be largely a historical tradition, rather than a certainty based on geologic evidence beyond that their fossils are generally found in sedimentary deposits. You have undoubtedly found from my previous posts that I view the flood as a complex of highly hazardous happenings, not the least of which may have been death by drowning. LK: Do you think it's possible that the apparent Asteroid Bombardment (matar) during the Great Flood was due to Earth crossing the Asteroid Belt? What would preclude that? - Don't you think the Bombardment would have caused the flood and continental drift? LK: Wouldn't the same event have been the cause of the bombardment on the Moon and possibly on Mars and many other bodies? So, if so, that suggests that they all went through the Asteroid belt to me. Not you? GW: Why not? My studies have mainly been terrestrial, but the evidence abounds elsewhere in the solar system! But again, the asteroids are really all around us, and a major disruption in the belt could have affected earth as I suggested, but that's just one of many possible scenarios. CC: I'm not sure I agree that the flood was caused by ET events, but I agree that something came through and upset a lot of apple carts. Recently I've been studying the similarity between the mares on the Moon and on Mars. I rather think that both of them got re-melted by something, instead of the mares filling up with lava flows. But the chance of two different bodies undergoing the exact same process, at exactly the same time (i.e., toward the end of the Late Heavy Bombardment) is relatively slight. So I think that something triggered them both. It could have been the thermalization of the impacts of the Bombardment, or gravitational deformation from a large body passing by. - By "Late Heavy Bombardment", I'm just referring to all of the impact craters on the Moon and on Mars, and the fact that there are many of them in the highlands, but only a few in the lowlands. This means that the lowlands on both the Moon and on Mars were both molten at the same time. LK: What's the evidence for melting on the mares and on Mars? CC: It's just the flatness of the mares, and the absence of source volcanoes. LK: Do you know of evidence of melting in the Moon rocks? CC: Ummm... I don't know. What would be the difference between my "melting" and the volcanism in the standard model? LK: Conventional vulcanism comes through volcanoes, except for flood basalts. CC: So in megaflow eruptions, there isn't going to be an extinct volcano left afterwards, is that correct? GW: The highly fluid nature of flood basalt is such that no cones were formed and the originating vents are left submerged and invisible to the investigator. CC: Gordon, what would be the make/break telltale signs that the mares on the Moon and on Mars would definitely be megaflows, and not just general re-melting of the bodies due to some other energy source (such as tidal deformation)? CC: Is the columnar jointing a result of crystalization, or is it something else? GW: Cooling of the flow is approximately uniform over the entire surface of the flow, causing a shrinkage pattern that produces the roughly hexagonal columns. The sides of the columns are conchoidal, but the tops are relatively flat where the top part of the flow [vesicular basalt] gets eroded away. Since there is no erosion on the Moon, this structure would have to be exposed in profile somewhere for the astro-geologist to see. LK: Aren't there closeup images of any of the mares, or aren't there even Apollo landing sites there, which would be clear enough to tell what caused the flat surface? GW: Right, no it would not be vesicular, but the rapidly cooling top surface of each flow is more brittle than the columnar "underbelly"... The analogy I use for students is like pouring coke into a glass, then rapidly freezing the glass...the crystals would be characteristic in the bottom of the glass, but full of airpockets above. This is a different picture than what you are describing I think? CC: Well, I was just trying to see if there was any way of ruling out any of the various possibilities. BTW, as you know, without much of an atmosphere on either the Moon or Mars, the lava wouldn't have cooled quickly, because there wouldn't have been much thermal conduction, nor much convection to transport the heat away. So it sounds like the lava (if that's what it was) would have had plenty of time to out-gas. GW: I agree with you on the convection point. Regardless, the columnar pattern should show up if it's basalt. LK: Charles said the Moon is made of granite, like the Earth's continents. CC: Actually, they have found both granite and basalt on the Moon, is that correct? - BTW, I'm currently reconsidering whether or not I actually believe that the Moon impacted the Earth. The reason is because of the remelting that occurred at the same time as Mars (if that's what it was). This would mean that the Moon couldn't have been involved in such a catastrophic collision, or it would have been totally remelted, and there wouldn't be any highlands left. LK: Charles, you said in your papers that Earth's and the Moon's granites are a lot alike, more than any other planets. Didn't you? What would account for that? CC: Yes, but I'm just no longer sure that it's necessarily quite that simple. If there are basalts on the Moon, especially in the mares, then it isn't that the Moon is made entirely of the same stuff as the Earth's continents. LK: Maybe Earth's basalt and granite ALL came from the protoMoon. GW: I'm on the side of Charles' mind change; I don't accept the collision theory of Moon and Earth, nor for that matter the ejected Moon theory. LK: I linked to some lunar images. Check them out a few lines below. See the links? - Charles, do you have a very clear idea how a close approach between "planets" would cause melting of the surfaces? CC: I don't know what you mean by "very clear", but I was thinking that the thermalization of tidal deformation might do it. This is generally considered to be elastic deformation, which doesn't produce heat, but in my model, it is driving telluric currents, which could remelt the crust. LK: Okay, that makes plenty of sense. - And could Mars have approached closely to the Moon, as EU theorists sometimes speculate, and could that produce melted surfaces? GW: Due to the tidally syncopated rotations of Earth and Venus, I suspect this was the near approach involved, which could have thrown Mars into its highly elliptical orbit as well as disrupting both the surfaces of Mars and the Moon. An excellent amateur scientist friend, Charles Chandler, with detailed analysis determined that the Sun and planets must have originated about 380 million years ago. He found that the star formation process is primarily electrical, as explained in his Astrophysics and Geophysics papers at http://qdl.scs-inc.us/?top=6031 . However, it's also possible that Earth originated elsewhere and was captured by the Sun later. In his model a planet can form either as a smaller bead of plasma next to a larger bead or two of stars, or it can form from the decay of a star. So, if the Earth and other planets were formed as planets with the Sun, they'd all be about 380 million years old. If they formed as stars and decayed and were captured by the Sun, they could be much older than the Sun. Many Bible students think the Earth and the entire universe were made by God about 6,000 years ago. But some think it was only the biosphere that originated at that time, based on certain translations. The surface features of the Earth appear to have formed between 4 and 5 thousand years ago. The evidence will be discussed in section [1-2c]. Section [1-5] will cover Earth's Origin. - Drift is more the result of a drainage process than of a deluvial one. By which I mean [and claim] that the underlying sedimentary formations were eroded by waters draining off in the last stages of the flood event. The materials largely derive from the underlying formations, unlike the case of erratics which are carried by [probably] continental glaciation from a more distant formation, eg. granite from the Canadian Cascades landed in the Willamette Valley in Oregon. So in the case of drift found on facing sides of separated continents, I suggest that the various agents of the flood [not only the tsunami action which you have taken to focusing on] laid the underlying sediments in a similar fashion on the lowlands of the [two] spreading continental masses, then the later drainage action left the drift as a superficial feature, after the majority of the spreading was done. - I have little reason to doubt that major continental glaciation happened across the young continents in the later stage of the flood and afterwards, and that other drainage related phenomena also occurred at this time, ie. at the end of and after the flooding. Glacial advance seems a good mechanism for the creation of drumlins, striations and such, while glacial retreat seems a suitable [and observable] mechanism for the deposit of kames and eskers and other types of mounds, as well as the very common and relatively superficial outwash deposits [till]. Drumlins are not dunes. Windblown deposits are a result of the global wind development that happened after [as a result of] the flood dynamics, while the potholes and coulees of the Pacific Northwest [Eastern Washington] happened during the later retreat of the glaciation, with the breakage of an ice dam at glacial Lake Missoula. I place the retreat of the glaciation largely in the few centuries after the flood, and after the continental drift surge. **LK NOTE: See Carlson re ice dam theory is wrong. - "NOT GLACIAL DRIFT, BUT GREAT FLOOD DRIFT"
... A layer of unconsolidated material [called drift] ... covers the solid sedimentary and igneous rocks in the temperate zones of Europe and North America. ... A ... similar [layer] occurs in parts of India, in South Africa, the tropical zones of South America, and in many mountainous areas of the world. - The material consists of gravel, sand and clay, with many large boulders of variable composition, and innumerable rounded stones and pebbles of all sizes. Often it is hundreds of feet thick. 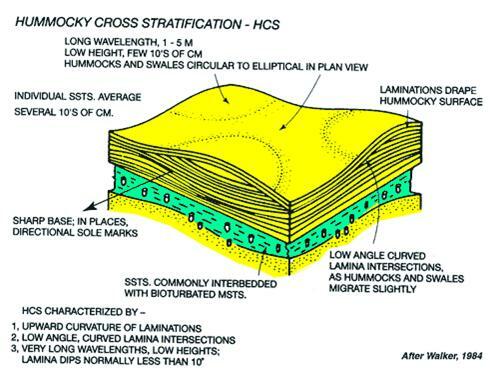 Frequently stratification exists, and it is usually present in the sand in the pattern of cross stratification. - Usually referred to as "drift", the material is also known as boulder-clay, diluvium, outwash deposits, glacial moraine, and till. ... 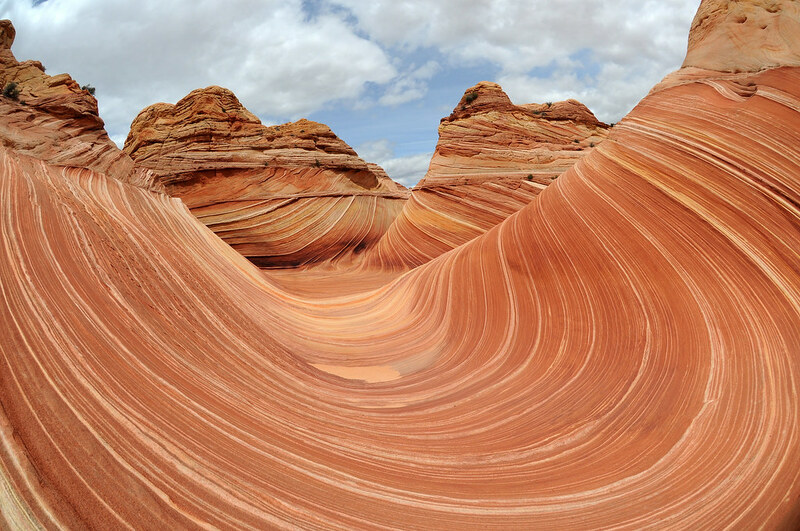 In general, the landforms composed of drift have a remarkably fresh appearance. Although they contain loose material, the effects of erosion have been minimal, showing they could not be of great age but must have been formed recently. <Glacial Theory> Geologists believe that the last of the ice disappeared only a few thousand years ago. - Kames are conical mounds usually composed of sandy material. <Glacial Theory> [Kames] are thought to have been caused by the dumping of glacial debris when the great ice sheets of the glacial age melted. - Eskers are long, winding ridges of gravel and sand.... Sometimes branching eskers occur. The eskers are known to stretch for great distances, go up and down hills, and disappear and occur again further on. <Glacial Theory> [Eskers] are explained in the glacial theory as the debris of rivers formed in or on the glaciers, that was let down when the ice melted. In the prairie regions of Canada and in the northern states of the United States there are various kinds of rimmed plateau, composed of drift. Often these have central depressions containing clay sediments. The rims are often composed of stony material and contorted drift layers. Some of the rimmed plateau or prairie mounds are of large size, with areas of several square miles, and may reach as much as 150 feet above the surrounding hummocky and pitted regions. <Glacial Theory> The rimmed plateau and prairie mounds are explained in the glacial theory as landforms created during the melting of the great ice-sheets. The glaciers, it is believed, sometimes melted in such a way that isolated blocks of ice were formed, that wasted away and deposited their debris in various kinds of rimmed structures and plateau. - Drumlins are hills shaped like the inverted bowl of a spoon.... Glacial flutings are similar, elongated parallel ridges and troughs. Individual flutings may stretch for several miles in the prairies of Canada and parts of North Dakota and Montana. Drumlins and flutings are ... streamlined landforms ... often composed of drift, but many are bedrock or partly bedrock. Some have a mass of bedrock at their upstream ends. ... In drumlin swarms the drumlins all have locally parallel orientation ... sometimes covering thousands of square miles. - Striations are frequently present on the surface of the bedrock underlying the layer of drift. In some areas the bare rocks uncovered by drift are also scratched and grooved, as if by movement of stones across them.... Within the layers of gravel in the drift there are many rocks and boulders that are striated. <Glacial Theory> These are thought to have been transported by ice and abraded in the process. ... [Bedrock surface striations are] attributed to the ice-sheets in the glacial theory [with] large numbers of stones being carried along in its base, that gouged the bedrock as the ice-sheet went along. - In the bedrock underneath the drift, and at many places where the bedrock is exposed, there are deep vertical potholes, ... usually filled up with the drift material, sand and gravel and large boulders. <Glacial Theory> [Potholes] are often explained by reference to the glacial theory. 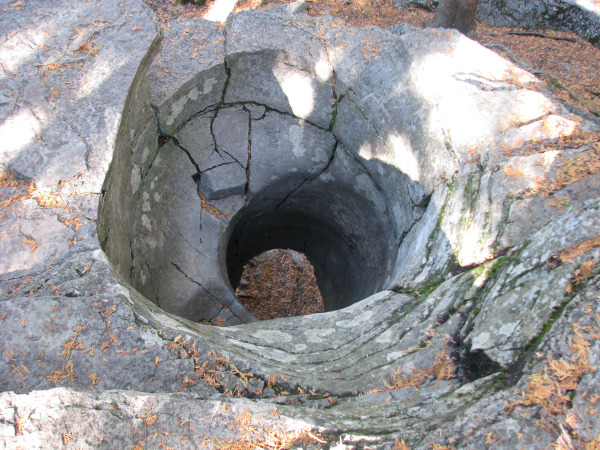 These are attributed to glacial "moulins" or waterfalls tumbling down crevasses in the ice, that eroded the bedrock and caused these deep holes. - Large boulders, ... known as "erratics" ..., are found in some regions with a composition quite different from that of the bedrock [and other drift] in the vicinity. These may sometimes be as large as houses, and are usually rounded, though some are of irregular shape. In the drift there are stones and pebbles of varying composition and appearance, but most of the rocks reflect the composition of the bedrock underneath. - These erratics, [many] perched higher than their sources, if they are to be attributed to ice, would require that the direction of the flow of the ice was opposite to the slope of the land. Flint suggested that the stones were carried in the base of the ice, which flowed uphill, rather than that they somehow migrated upwards through the ice. ... How Could the Ice Move Uphill?... Howorth accused the glacialists of departing from the principles of physics and appealing to "transcendental causes". ... Howorth believed that the motivation of geologists who favored the glacial theory was their reluctance to accept a catastrophic alternative. ... In his book Ice or Water he [said:] ... Their real inspiration has been the fervent hope embodied in the words with which Sir R. Ball concludes his ill-fated book on the Glacial Age. 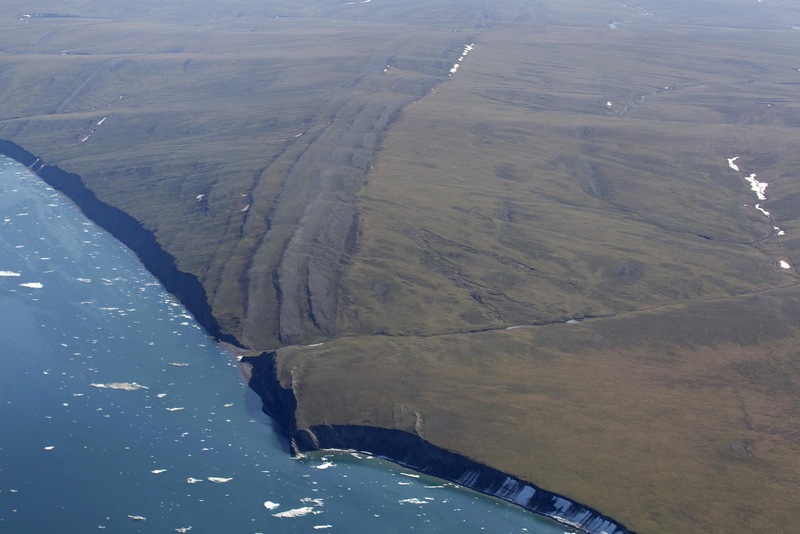 "The appeal to ice removed the glacial period from the position of a 'catastrophic' phenomenon. It placed the ice-sheet as an implement at the disposal of the geological uniformitarian."